Miow Jul 24 2018 10:48 am Ahh this is so nostalgic. It's been 7 years since I watch anything related to yukito. Wwwww and finally today I get to watch kokuhaku. ???? Aaaàaa I can't stop fangirling over yukito thou. Anastasia Mounce Aug 18 2017 4:13 pm I loved him when he played the part of Ciel Phantomhive in the Kuroshitsuji Musical. KP Feb 06 2016 12:09 pm I really enjoyed watching him in Pokemon Get☆TV. Hope he gets more roles. Sakura sapi Jan 04 2016 12:15 am I'm your fan and I just love you!!!!!!!!!!!!! Jade Apr 20 2015 5:22 pm I am not big fan I like yea hope we can be friends,yukito nishii san. *smiles* I hope one day they do a Kurrshitsuji musical over in America one day. Red Aug 12 2014 4:46 am I'm totally in love with you after i watch Kuroshitsuji Musical 2!!! You play Ciel so well, and i'm sure to check your other drama, and plays to see more of you!!! shinichi Aug 01 2014 7:08 am sugoi nee ..Yukito-kun!!!!!!daisuki!!!!!!! sophie Jun 18 2014 3:57 pm Well done kuroshitsuji II was very good I liked your performance (and previous ones as well ) keep up the good work. Kyoya May 08 2014 1:56 pm Daisuki Nishii-kun~!! Your so awesome in the Kuroshitsuji musical! kay May 07 2014 3:19 pm Nishii~!! Your were awesome in kuroshitsuji 2!! Keep acting in dramas. Looking forward to your future works. Your only 2 years older than me ~~<3 woot. Anne May 06 2014 9:15 pm Hi Yukito! I really loved tour performance in Kuroshitsuji 2, your were awesome with singing and acting! I wish I can see you in Japan! Your 10 years older than me :'c. Well I do really hope to see you in Japan sometime ((that's if I can go there)). So ya hope to see you! Daraksha Mahapara Feb 16 2014 10:30 am Hi, i saw kuroshitsuji musical stage show in youtube and i love that show, am from Bangalore(INDIA). In my lifetime i want to meet you and talk with you in japanese,, I LOVE YOUR VOICE. i dont know how to express through writing but am in love with you now. Thankyou for your hardwork take care. ARIGATU and SAYONARA. Enthusiast Dec 24 2013 11:18 pm Ladies and gentlemen, I present you the lovechild of Chinen Yuri and Yamada Ryosuke. Rin Sep 23 2013 3:51 am Nishii, I love you so much. Adorable cute, and when I watched the videos for the backstage of Kuroshitsuji II: The Most Beautiful Death in the World, and saw you crying, I cried. Just to cute. mute Jul 21 2013 2:27 pm This boy is an amazing actor, and very young as well. His role in Kokuhaku (confessions) was awe-inspiring. You would never imagine a boy as young as that to be able to act like that. In fact, that is what makes him soo amazing. It was because of his superb acting skills, not his appearance that I continued into watching more of his roles in other dramas and movies. He has a bright future, in that career field. I know he is going to be very successful and have even better, more challenging roles that he will bring out the depth of a character in. Love an actor, because of how well they perform, not how cute they are. Someone Jul 08 2013 10:56 pm He is freaking cute!! I just loves the play for Ciel in the 2nd musical! So adorable!!! And he only 4 years older than me! chelsea May 19 2013 2:35 pm Yuki-chaaaaaaaan!!!!!! >.< you'll always be my one and only ciel phantomhive. :)))))) you're just so kawaii!!!! Fatimah Putri Handayani Mar 24 2013 10:03 pm I admit you really deserve to be the son of Yamada Ryosuke and Chinen Yuri (Hey! Say! Jump)!! > < And maybe I'll start this daat putaku acknowledge you as well. Be a smart kid like you've ever played Ciel, demo ... Do not be sneaky like, ne? Koskari Feb 24 2013 2:22 am I found out who he was from the Kuroshitsuji musical and then later started watching Hana Kimi and found him again. I think it's really cool how his birthday is exactly 6 months away from Ciel Phantomhive. I'm moving to Japan soon and hope to see him there. He's just so damn cute. KuroshitsujiMusicalFanGirl99 Feb 23 2013 12:31 am Nishii-San is only 4 years older than me, the first time I w him was on YouTube I think I was looking for Kuroshitsuji episodes and I found the musical instead (sp?) though I'm not complaining. I can sing black and white from the Musial, that's the only japanese song I can sing. GazeRae Jan 05 2013 11:41 pm Ah! He's exactly 3 years younger than me, same birthday! I feel like a cradle robber...but he's so cute!! かわいいですね！I'd give anything to meet him, or Matsushita Yuya-san! Ciel's Girlfriend Jan 03 2013 4:11 pm He's only a month and 2 day's older than me! *dies of kawaii* <3 he's so amazing i watched him in the Most Beautiful Death in the World and I think I'm in love!!!! I just wanna meet him!!! Marsil Aug 06 2012 6:35 pm Er ist süß und perfekt!! Niwa Jun 01 2012 8:50 am Nishii-san is absolutely one of the best actors I've seen. I first saw him on the 2nd Kuromyu DVD as Ciel Phantomhive, and he rocked the role! I also watched some other things he was in, and all of them were beautifully played! My dream is probably to meet him just once! Haha~ ^^"
sandy Mar 01 2012 2:30 am i wish i'm your girlfriend..
sandy Mar 01 2012 2:29 am he's so cute and talented...i <3 you...XD!!! T S U N D E R E from TM Jan 22 2012 5:13 pm Do you have a TM account? Cause if not, someone is impersonating you. felipe Jan 17 2012 11:50 am I congratulate you for your very nice acting in "Confessions". It inspired me a lot. Keep going on with these kind of movies. Ichigo Dec 25 2011 3:57 am I was born on the same day as him! June 14 1995 OMG!!! shem Dec 24 2011 12:59 am Even though I'm a boy I want him to be my little Brother! Aka Aug 31 2011 6:36 am Isn't he too young to be Senri Nakao? I like him, oh so much but I think he still need to grow before he could take the role. Lizzy Jun 30 2011 6:51 am かわいい!!! !~ Soo cute!!! <3 u in the Kuroshitsuji Musical!!.... adorable!!!!! がんばって!!! ANNIE Jun 30 2011 4:58 am I WATCHED YOUR MUSICAL PLAY BLACK BUTLER AND YOU IMITATED CIEL PHANTOMHIVE... YOU WERE NOT IMITATING HIM BUT INSTEAD YOU BECAME HIM... GOOD JOB ON YOU ACTING! SUGOY! OMEDETO! GOODLUCK AND GOD BLESS! LOVE YOU!YUKITO GAMBARO! ANNIE Jun 30 2011 4:55 am I WATCHED YOUR MUSICAL PLAY BLACK BUTLER AND YOU IMITATED CIEL PHANTOMHIVE... YOU WERE NOT IMITATING HIM BUT INSTEAD YOU BECAME HIM... GOOD JOB ON YOU ACTING! SUGOY! OMEDETO! GOODLUCK AND GOD BLESS! LOVE YOU! Marrissa Jun 01 2011 8:47 pm OMG!! I watched the kuroshitsuji musical 2. When i saw him i thought he was like 17. T>T I'm sad now cuz he's 2 years younger than me and his b-day is 6 days before mine. >.< He is so adorable!! Cathy May 21 2011 8:49 pm I love Yukki!! he's cute! yuki Feb 15 2011 3:36 am i would support my cousin in any ways possible ne~! woha Feb 04 2011 3:25 pm Saw this kid in Confessions (2010 film). OMG!!! Amazing. I was blown away, literally. I can't believe a 15 year old (and apparently cutesy 15 year old) can act like that. Karla C. Feb 01 2011 11:19 pm I love you yukito nishi since I saw you in the musical form Kuroshitsuji, you just catch all my attencion you are so special and so cute OMG every time I saw your smile is so beautiful for me, I love you xD I love you so much I am your fan ^^ and I hope you can realize all your dreams!!! Love you!!!! brukselka Jan 27 2011 12:48 pm for me Yukito is one of the best young actors. I saw him for the first time in 'The Most Beautiful DEATH in The World' and found him perfect Ciel, this role suit him so good since his look is just adorable (not mention about acting which is actually more important than the look, but if the actor is able to pull off these two, than he's going to be really good one). okay, Yukito as Ciel was good for me, but then I watched 告白 (Kokuhaku) and my mind was blown away. if you watch some backstage-related stuff you will know, that Yukito is very polite, nice and bright kid (as his fangirl I could spend hours talking about him, but it's enough for today here), then you're watching Kokuhaku, seeing him as Shuya, who is pretty dark character and you're amazed that such innocent boy can act like THAT. I hope he'll be only better and better from now. he just brings awesomeness to a new level. Ebony Jan 11 2011 2:51 pm awhh :3 my he's onleh a year and 6 days older than me :'3 he's so cute!!! I want to steal him and lock him in my closet! pamm Jan 06 2011 11:53 pm we have the same birthday and we are the same age OMG fate much?????? Kiku Dec 16 2010 11:05 am Yukito-kun is a great actor, especially Ciel. He did a great job, i was very impressed. Wonderful acting, and great voice, too. If he continues working like this, he will because great! Jay Dec 03 2010 5:27 am For such a bright kid, I was surprised by his debut acting role in Confessions, and then afterwards playing the role of Ciel Phantomhive in Kuroshitsuji Musical 2... seriously, this boy has talent and definitely someone to keep an eye on in the future. 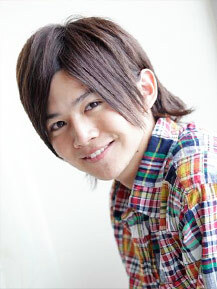 All the best to Yukito Nishii in any future projects; you've definitely found a supporter in me. Kane Nov 22 2010 4:07 am He is so cute!and i loved his acing on both of the Kuroshitsuji musicals...his singing is really beautiful...plus he looks so awesome in his Ciel outfit..and in his pink dress from the musical..he looks just like a girl >3< he was perfect for the Ciel Phantomhive role !! Aly Nov 14 2010 12:34 am i want the hoodie he wears before and after the musical.... does anyone know where i could get one? or his Stitch pants? Sarah Oct 29 2010 12:08 pm He's so adorable. I want him to be my little Brother!